Ring Magnets are widely used in such applications as holding, motors, consumer electronics, medical, sensors and speakers. Due to the high magnetic strength of a Rare Earth Magnet, it has replaced other magnetic materials in order to make a design smaller but achieve the same result. Neodymium ring magnets are used extensively in industries such as the jewelry, medical, automotive, aerospace and power generation applications. 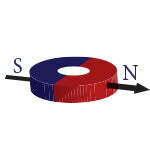 Need a specific Neodymium Ring Magnet size and performance? 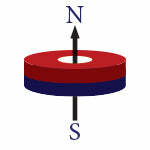 If you require a specific size Rare Earth Neodymium Ring Magnet, please contact us or use our online custom magnet quote form.